KORET LOFTS! Originally built in 1907 and converted to residential in 2006, this building exudes character and a hip Gastown vibe. This loft has the WOW factor you're looking for - wood beams, brick walls, industrial style windows, and polished concrete flooring. Upgrades include sliding doors to enclose a bedroom area, new walls to enclose the shower for added privacy, and fabulous custom closets running the length of the living area to give you ample storage. There's even a den you may use as an office. 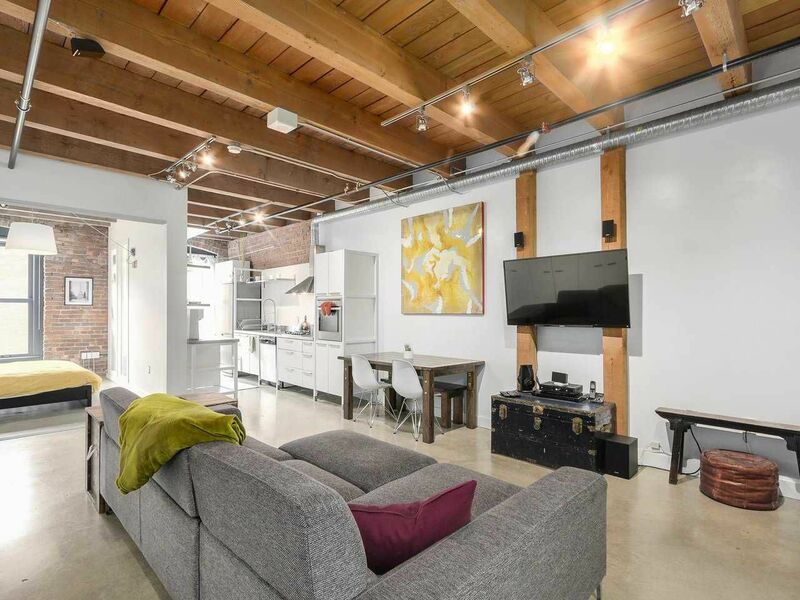 If you've been waiting for the "perfect" Gastown home, look no further, this is it!